Type 301 Design by F.A. Porsche: The patented "standing" design of the 301 series makes it unique. 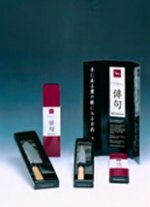 JAPANCHEF - high quality "no frills" low price knife - CHROMA JAPANCHEF used by professionals in the restaurants. 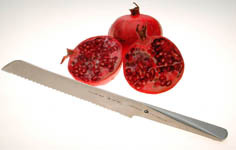 JAPANCHEF is made of quality ice hardened steel, traditionally forged and sharpened with the typical Japanese "V" edge. You can sharpen your JAPANCHEF with a whetstone. JAPANCHEF is a practical knife priced right. JAPANCHEF like any quality knife should never be placed in the dishwasher. HAIKU YAKITORI is a well priced inexpensive HAIKU kitchen knife with acceptable qualities. Handle is made of plastic and the blade is made of X 50 Cr 15 / 54° Rock- well Hardness. HAIKU YAKITORI is not recommended to be cleaned in the dishwasher. HAIKU YAKITORI is made in China and though inexpensive you will appreciate its performance. CHROMA Knife Safe Pro - affordable blade protection by the expert of knives - To protect the knives while being stoared away or being transported please use the blade protection Knife Safe pro by CHROMA. CHROMA Buchter Board - So for cutting please always use a solid wooden cutting board. 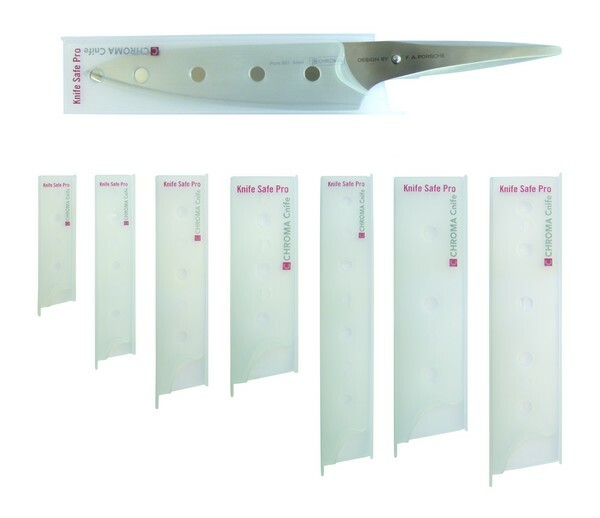 CHROMA butcher boards protect your blade from getting dull. Please click on image and watch our video instruction - How to sharpen a kitchen knive? Since the last century we have been producing hight quality kitchen cnives. 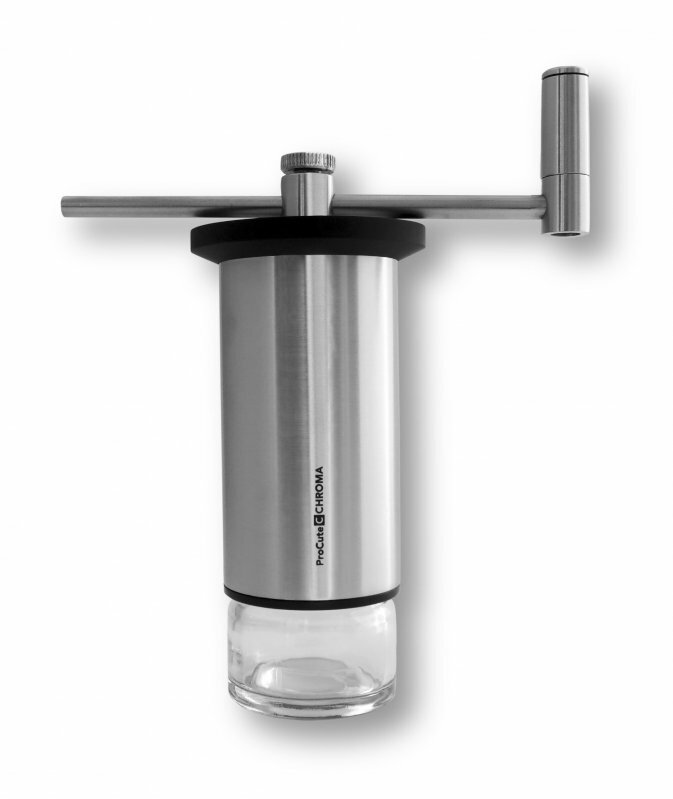 The product series described in this broschure are sold through specialty retailers all over the world. Over 6000 quality stores and online retail shops offer our products. 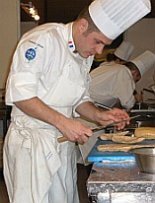 Our customer base consists of top-of-the-line professional gourmet chefs, enthusiastic hobby chefs and lovers of design. CHROMA Cnifes are in use in nearly 190 of Germany's 200 best restaurants (according to www.haiku-liste.de). Ralf Zacherl, Otto Koch, Harald Wohlfahrt (3 star Michelin, best German chef) and many other famous chefs in Germany use our cnives daily. 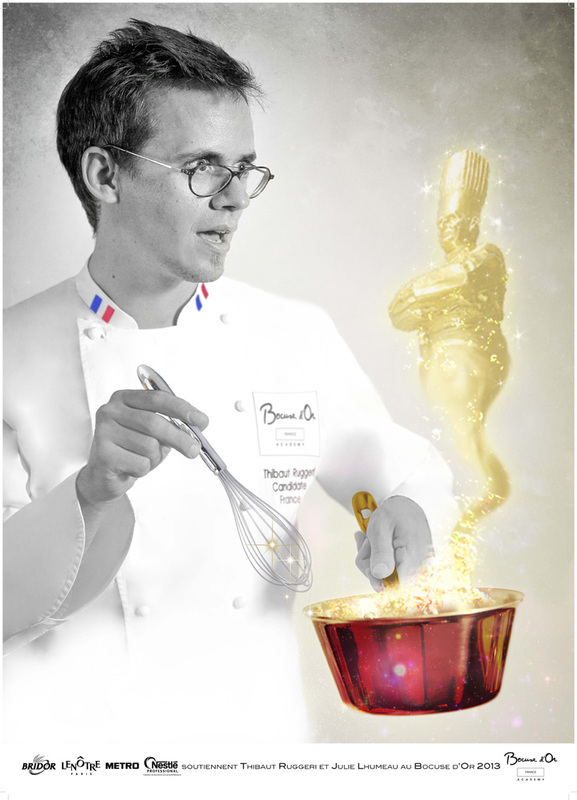 CHROMA Cnives won three times in a row the most import chefs award, the Bocuse d'or in Lyon (2005, 2007 and 2009). 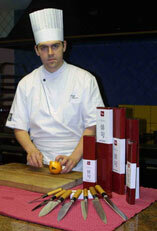 The cooking school of Alain Ducasse is using CHROMA TYPE 301 cnives. CHROMA or their importers never pay a chef for using their cnives? Why? It is too expensive and there are too many chefs using CHROMA cnives! CHROMA Cnife is the company responsible for first introducing of professional Children's Cnives (CAPTAIN COOK) and the ProCuTe - Titan Cutting Gear (pepper / spice grinder) to the world. We are one of the most frequently imitated companies. However, surpassing us in the realm of quality is a challenge indeed. Stifung Warentest, the leading German Consumer Test organisation, owned by the fovernment (confirms our status with "best" as an average product rating). Famous designers developed CHROMA products, i.e. F.A. Porsche, Georg Draser and British star designer Sebastian Conran. The packing design is made by award winning "Li Dreves Design Studio". We all love to work with CHROMA Cnives: the satisfaction of our customers is our best thanks. 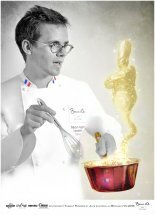 It just feels good, if a famous chef tells you: "CHROMA CNIVES are the best cnives in the world!" And so many do!